NEW YORK (Reuters) - Online criminals shifted their attacks in 2005 from computer operating systems such as Windows and others to media players and software programs, according to a study released on Tuesday. Among the software programs that attackers are now targeting are anti-virus software as well as programs used to listen to online audio and video programing, according to the SANS Institute, a nonprofit research group based in Bethesda, Md. Attackers are changing their targets after Internet service providers and operating systems designers such as Microsoft started shoring up their systems following a barrage of worms, viruses and other online threats in recent years. The group's "SANS Top20" report identifies the 20 most targeted software flaws that criminals use to infiltrate computers. Apple's OS X operating system is based on Unix, a heavy-duty operating system used principally in corporate data centers and high-powered computers. Network devices such as routers and switches that direct Internet traffic also are being targeted, SANS said. Cisco Systems Inc. made the list with its "IOS" router product line. "Network devices often have on-board operating systems and can be programmed like computers," the group said in a statement. "Compromises of network devices can provide attackers one of the most fruitful platforms for eavesdropping and launching targeted attacks." SANS released the study in cooperation with the U.S. Department of Homeland Security's Computer Emergency Response Team, the UK's National Infrastructure Security Co-Ordination Center and Canada's Cyber Incident Response Center. Make no mistake that this headline was perpetrated on behalf of the labels and probably seeded by the RIAA. 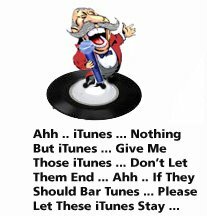 Recent headlines have tried to almost force Apple to raise iTunes Music Store prices. It's pretty obvious there's an affront from the labels who don't feel they are getting their fair price for songs distributed digitally. iTunes, at this point in time, IS digital downloaded music ... the other 4 players: Real, Napster, Microsoft, and Yahoo have SUCH an insignificant share of the market and are distributed through vastly inferior networks that it doesn't even matter ... this article is bogus ... only to belittle and berate Apple, potentially hurt iTunes Music Store sales, and therefore force retail sales, and Apple to raise prices. My two cents: it won't work. Competion Paying For Apple Security Flaws? Dude, lighten up. You're speculating the worst simply because an Apple OS was mentioned. Truth is, the article is somewhat on base. Mac OS X, in its un-updated state has vulnerabilities. Not everyone applies these fixes. The Safari/Dashboard/WebKit exploit for example, could have caused serious security risks. Apple goes to great lengths to patch these holes, but more still exist. The RIAA has NOTHING to do with this article.